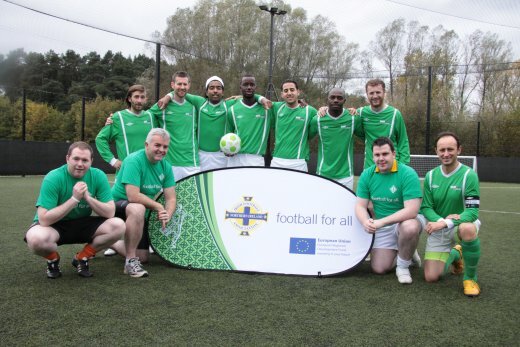 The Assembly's MLA football team donned their kits again this week when they took on a team from 'World United' to promote the Irish Football Association's Football against Racism Europe Campaign. World United players, who come from countries as far apart as Ghana and Hungary, have been involved in delivering workshops to young people and sports and community groups throughout Northern Ireland. These workshops address issues such as racism and sectarianism, with team members talking about their own experiences and the importance of respect, tolerance and inclusion in sport. 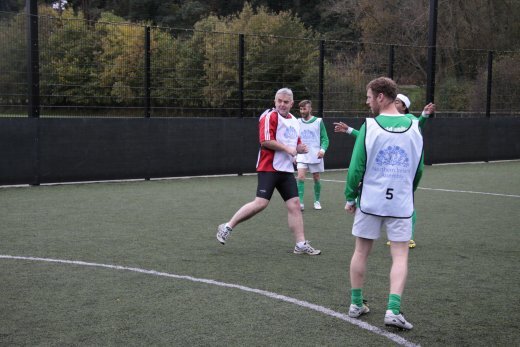 With a number of friendly matches under its belt, 'World United' players were keen to test the footballing prowess of our local MLAs who in turn were only too happy to showcase their own skills while promoting this very worthwhile initiative. 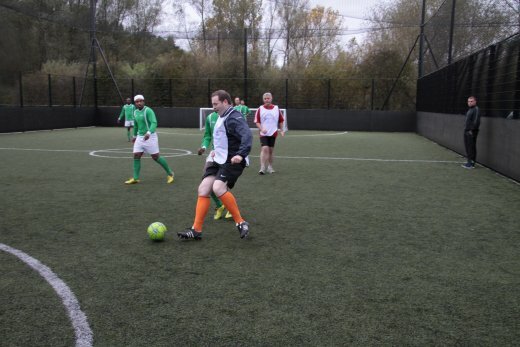 A thrilling and competitive 30 minute game ensued, but this time around our MLAs were no match for the super skilled 'World United' team who triumphed with a final score of 14 – 11. 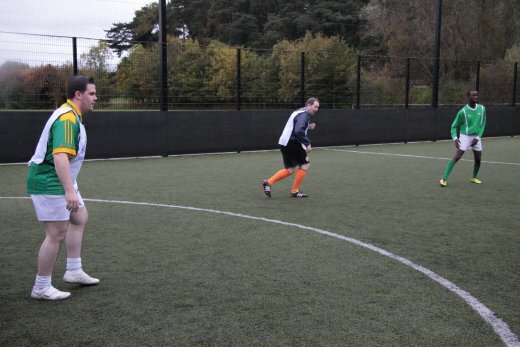 The MLAs didn't seem to mind too much though and a future follow up match could well be on the cards. Jonathan Bell MLA checks if his strike is a winner. Chris Hazzard MLA prepares to score a goal. Phil Flanagan MLA mans the goals.